The Tree Tavern started as a tavern and restaurant on Crosby Place in Paterson, New Jersey. It was a landmark location in Paterson through the 1950’s and 1960’s right in the heart of the city. The Francia family presided over the restaurant from the very beginning. They froze the very first Tree Tavern Pizza in 1955 and was the first frozen pizza ever sold in a supermarket. The business prospered for many years as both a restaurant and a frozen pizza company. The restaurant was ultimately closed so the Francia’s could focus on the retail business. 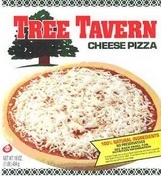 We acquired Tree Tavern Pizza in 1992. The current location of The Tree Tavern Wine Bar has a long history of its own. It is located on a site that has been a tavern for many years. The early history is not very clear but it has been a tavern since 1910. We do know that the reason it is located so far off the main road is due to the now removed commuter train station that was just a couple hundred yards away from our location. The Golden Age Club is on the old Midvale Train Station site. People would come home from their commute and walk to our location. When we first took over the property, we found old distillery equipment and a few bottles of moonshine! So we believe it kept running during Prohibition days. The Pallavicini's ran the establishment for many years when it was known simply as Polly's. Andrew Hack bought the business about 40 years ago and ran it as Andrew's Hideaway for 25 years. Andy wanted to sell the property about 15 years ago. That is when we met him and acquired the property.